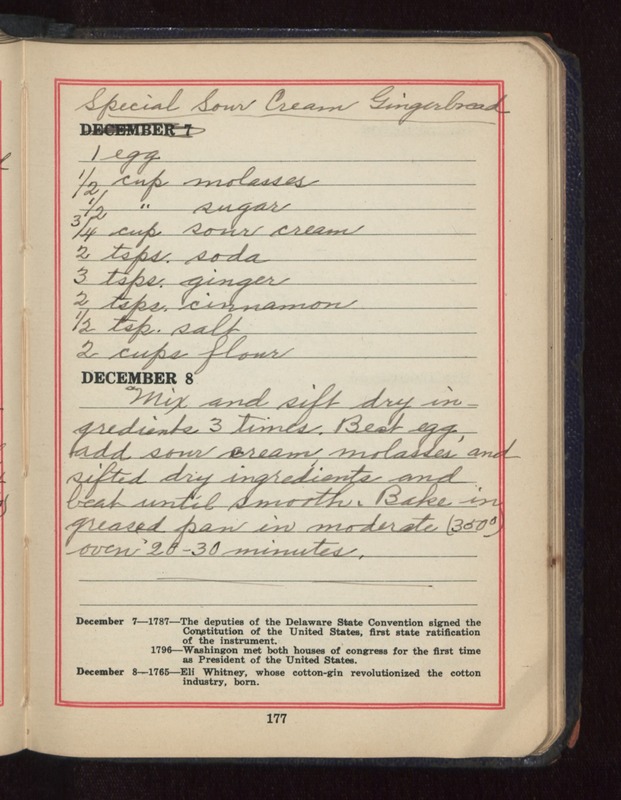 Special Sour Cream Gingerbread 1 egg 1/2 cup molasses 1/2 " sugar 3/4 cup sour cream 2 tsps. soda 3 tsps. ginger 2 tsps. cinnamon 1/2 tsp salt 2 cups flour Mix and sift dry ingredients 3 times. Beat egg, add sour cream, molasses and sifted dry ingredients and beat until smooth. Bake in greased pan in moderate (300 degree) oven 20-30 minutes.